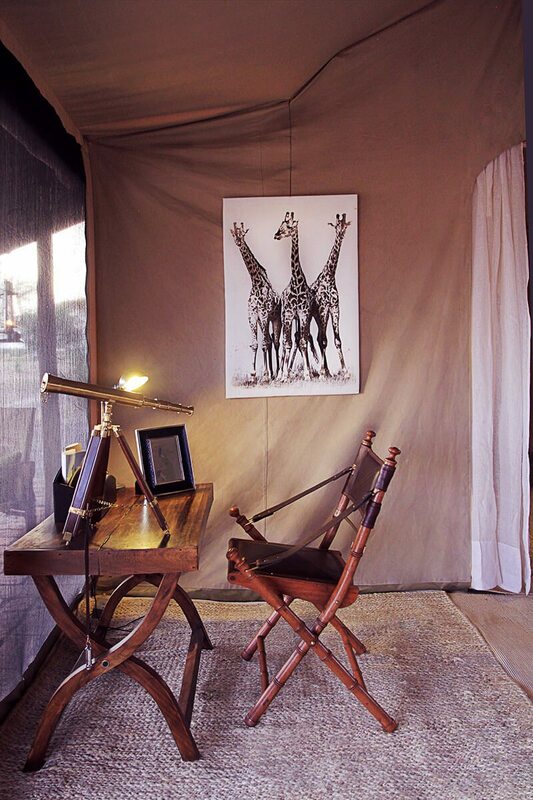 Safari tent glamping gets you closer to the African bush, without ever leaving your comfort zone. 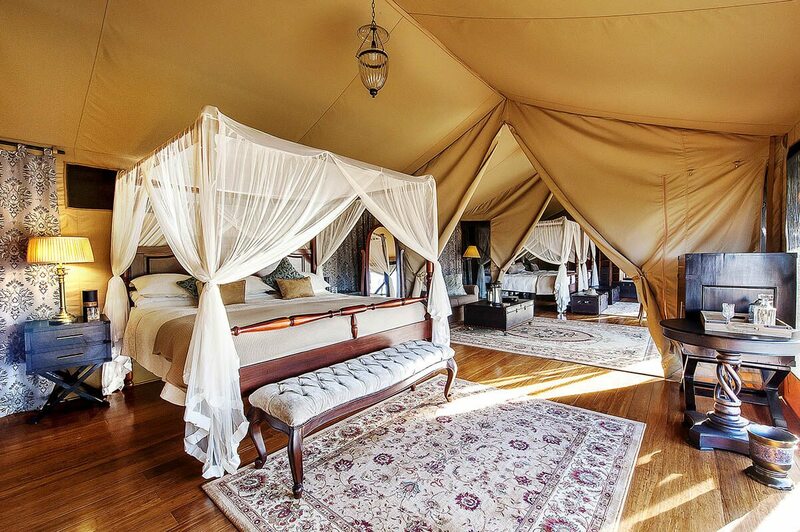 Orange nylon is out, replaced by impeccable service, first-class amenities and the ultimate luxury of falling asleep to the night sounds of Africa and being awoken by the light and energy of the new day … all while staying under canvas. 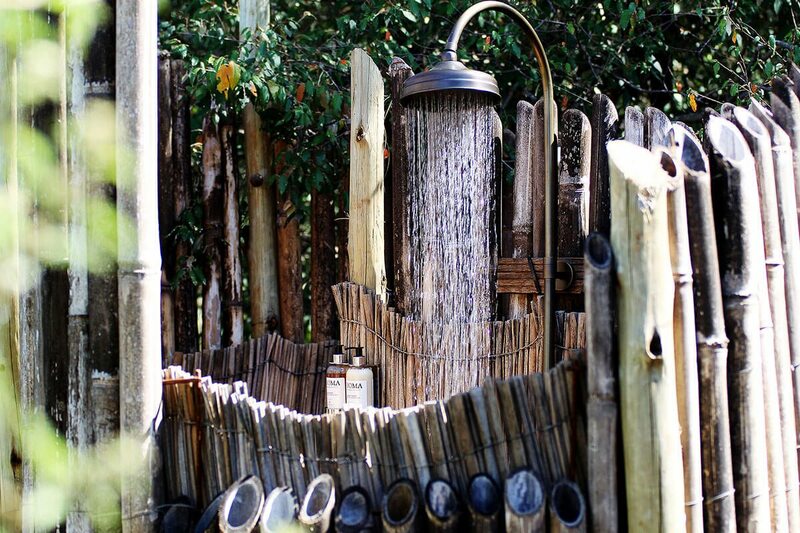 What’s it like to stay in a luxury tented camp? How can I pitch this to you? Forget everything you ever knew about camping, and add a generous serving of comfort and old-school style. You’ll feel as though you’ve stepped back in time, and yet are completely immersed in the present. Is it the same as glamping? Exactly. 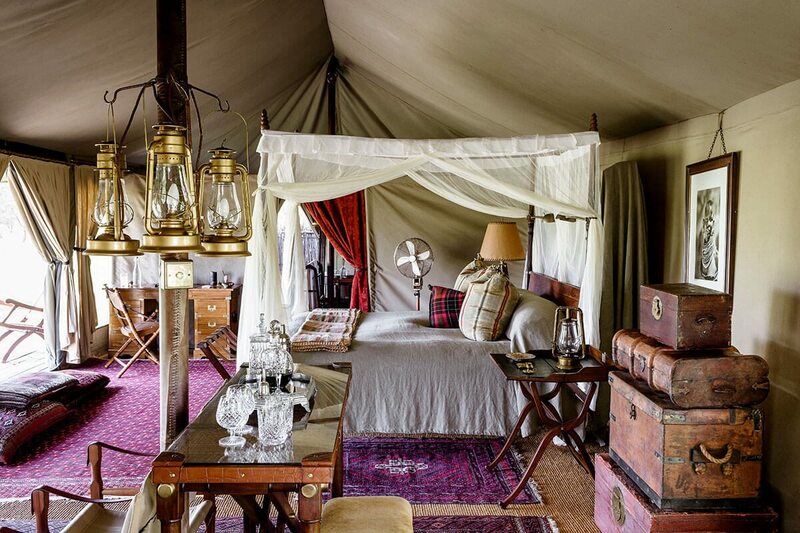 A luxury tent safari is ‘glamorous camping’ at its most refined, so you can see how it’s easy to get roped in. You may be under canvas, but don’t be under any misapprehensions – you’ll have bedroom and bathroom facilities on par with those in any luxury lodge. Do you have to rough it? Only if you consider five-star meals, attentive staff, dreamy four-poster beds, elegant furnishings and all the basics like hot water and electricity to be a hardship! Or perhaps you find gleaming hardwood floors a little unpolished? 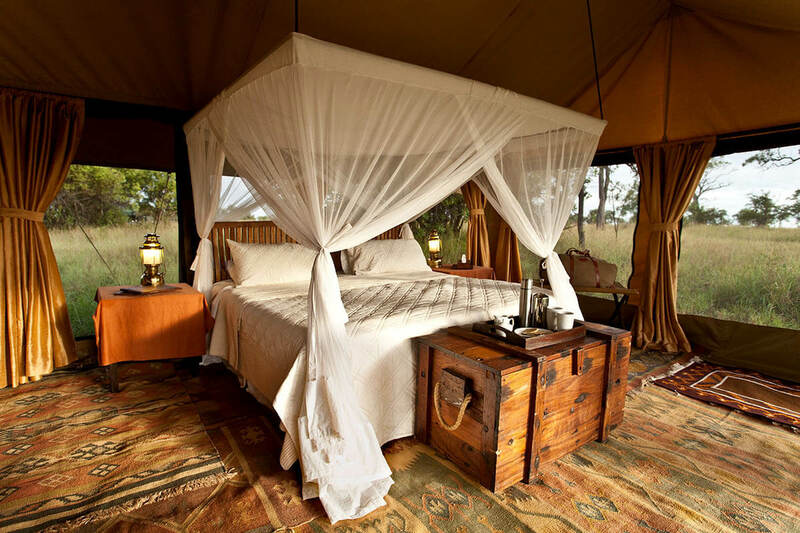 Are luxury tented camps safe? 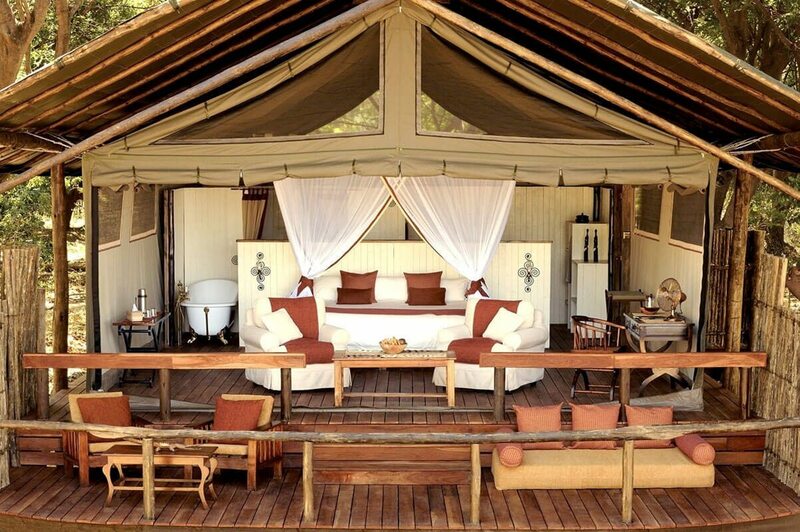 Safari tent glamping is perfectly safe – elephant haven’t figured out how to undo the zips yet! 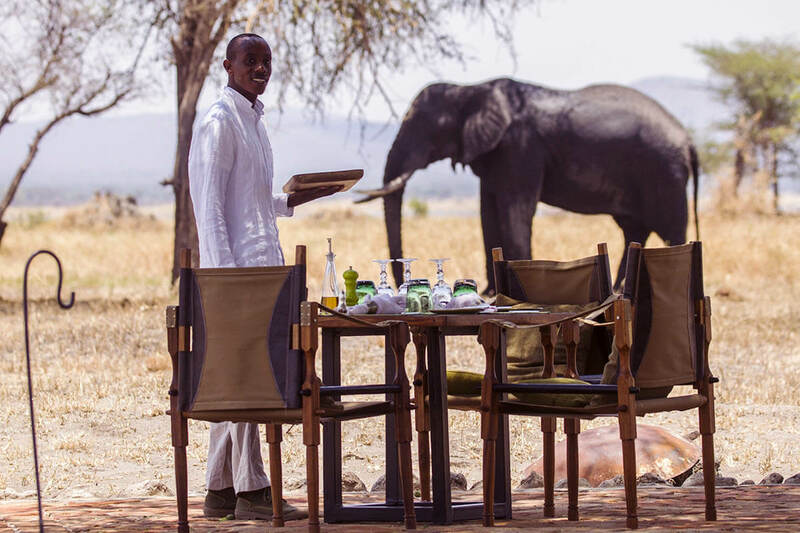 Joking aside, the wildlife will regard your luxury tent as just another landscape feature, while an experienced guide and safari crew will ensure that you can enjoy wildlife at close quarters, but never uncomfortably so. 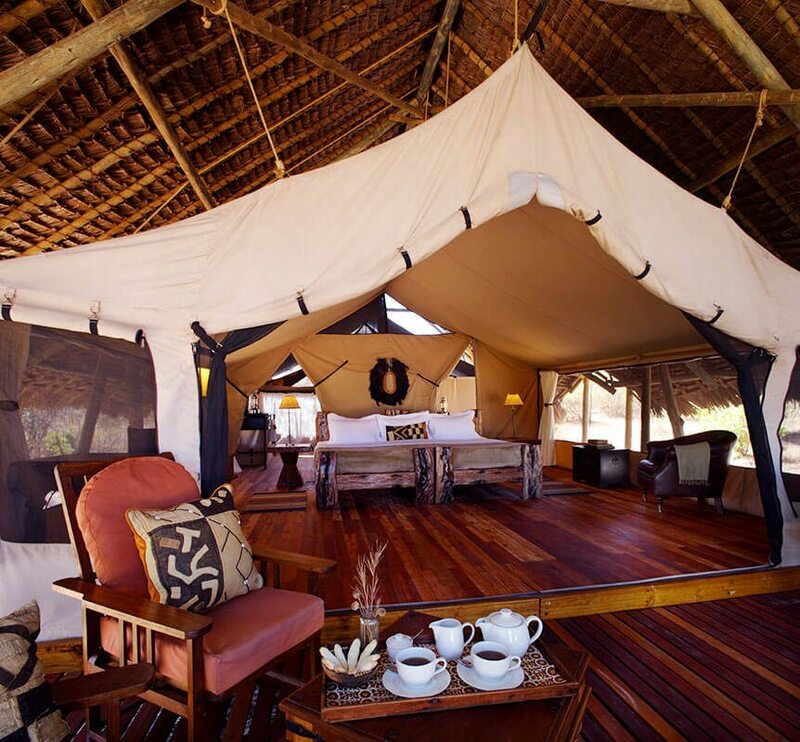 Why should I choose a luxury tented camp? 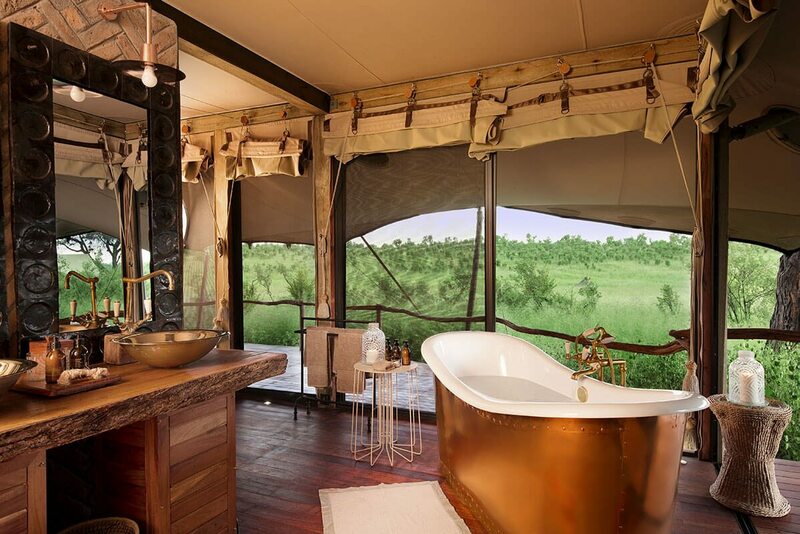 A luxury tent safari is imbued with the romance and classic style of earlier African safaris – like listening to a lion’s roar on a gramophone rather than an MP3 player. 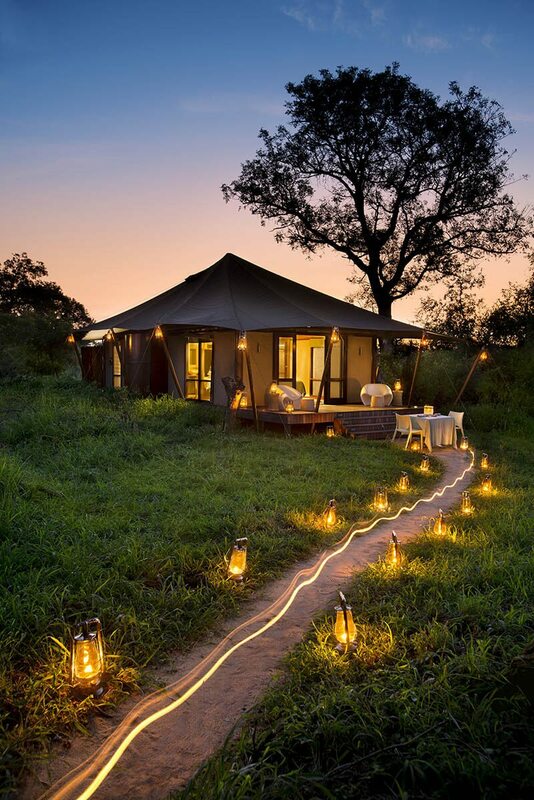 Tented camps are easier to create, so are often in remote, secluded spots – and at the same time they’re generally an eco-friendlier option, letting you tread more lightly. 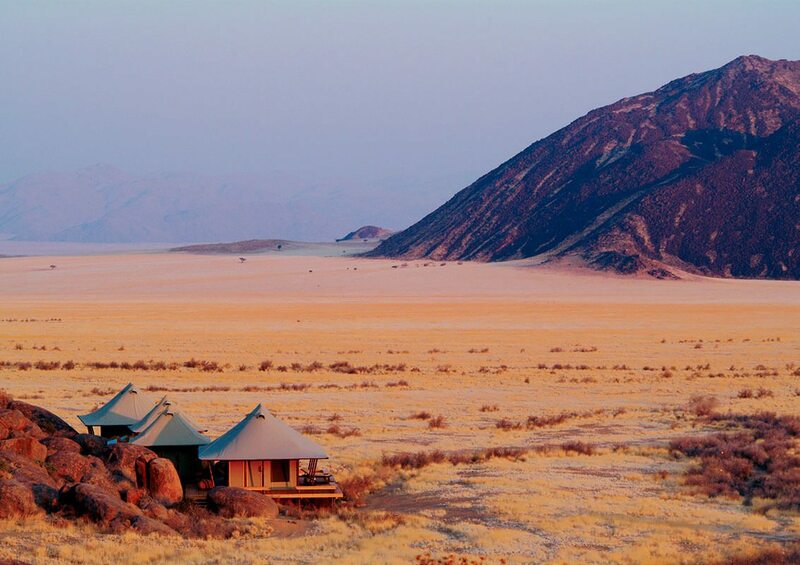 Jack’s Camp has achieved iconic status (no mean feat in Botswana) by way of its staggering location in the Kalahari Desert (described by its founder as possessing ‘the savage beauty of a forgotten Africa’) and its own uniquely elegant style, not to mention the opportunities for exploration it offers. 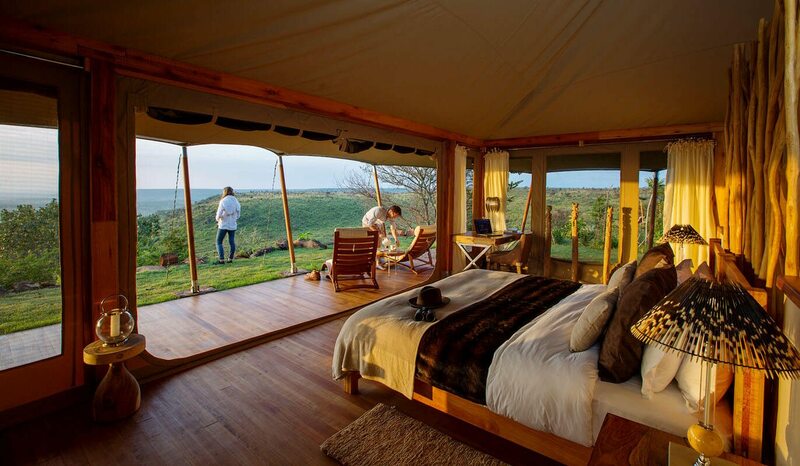 Set on the rim of Tanzania’s famed Ngorongoro Crater, right by the entrance gate leading to the crater floor, Sanctuary Ngorongoro Crater Camp allows its guests unrivalled access. Be the first to arrive in the crater for exclusive morning game drives, or enjoy cultural visits at a Maasai village. 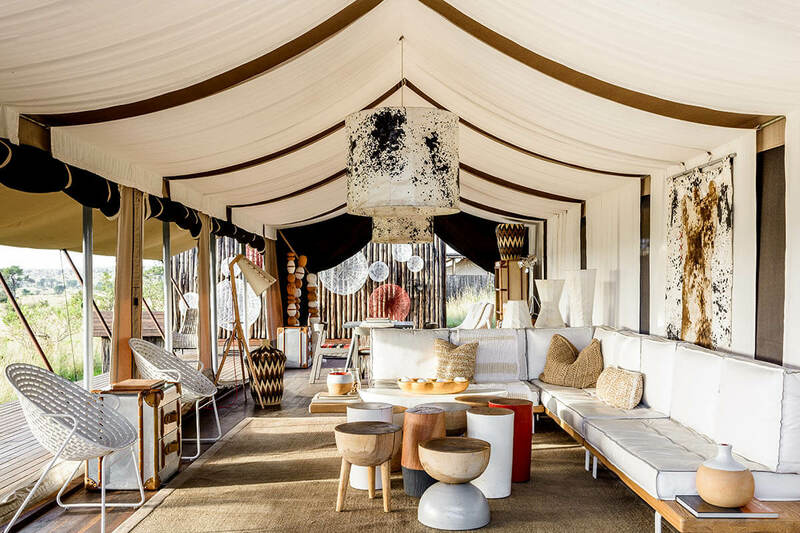 In any location, the classic white tents of San Camp would be eye-catching; on the edge of the Makgadikgadi Pans, this luxury Botswanan safari lodge manages to both stand out and blend in, exuding an achingly cool Lawrence of Arabia vibe. The immensity of the surroundings is incredibly liberating. 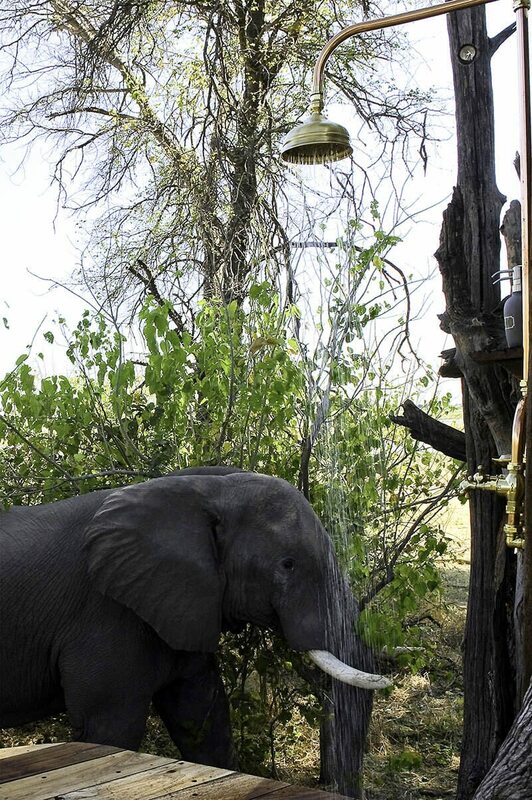 Somalisa Camp is located at the epicentre of elephant activity in the renowned Hwange National Park. 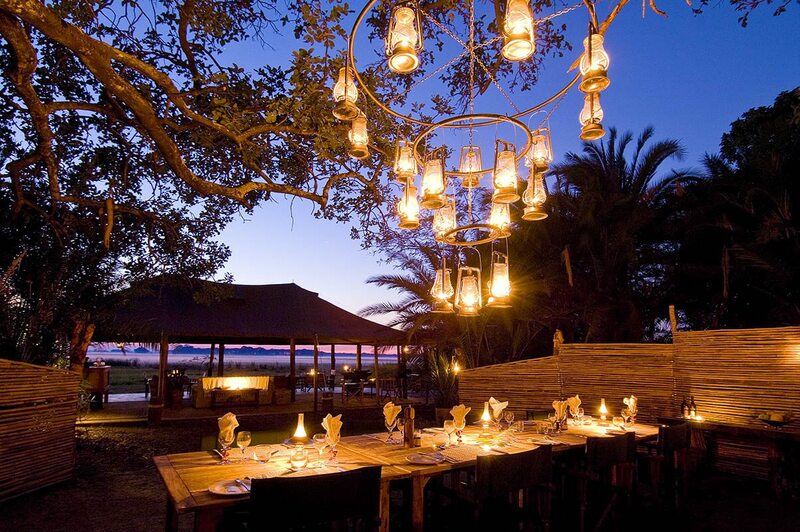 This luxury Zimbabwean safari lodge offers breathtaking views of the savannah plains across the famous Kennedy vlei line and overlooks the ‘elephant pool’ which attracts even more residents of this land of the giants. 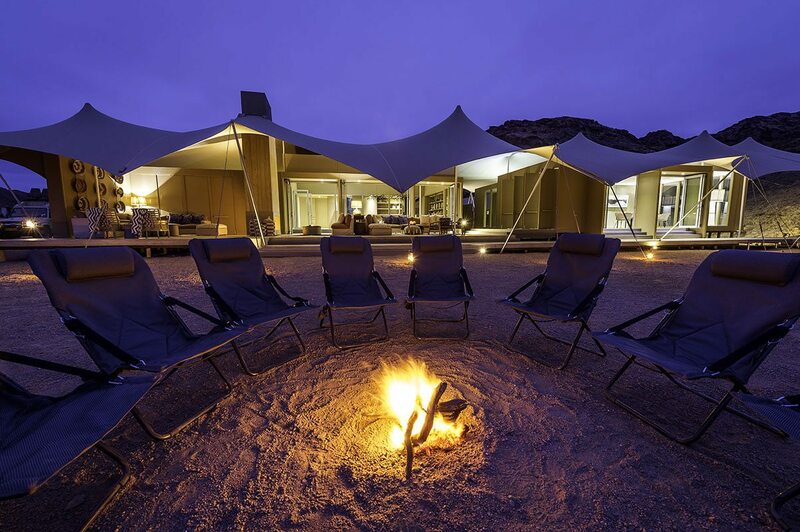 Enjoy a pure wilderness experience at Boulders Safari camp, just four tented suites in the vast NamibRand Nature Reserve. 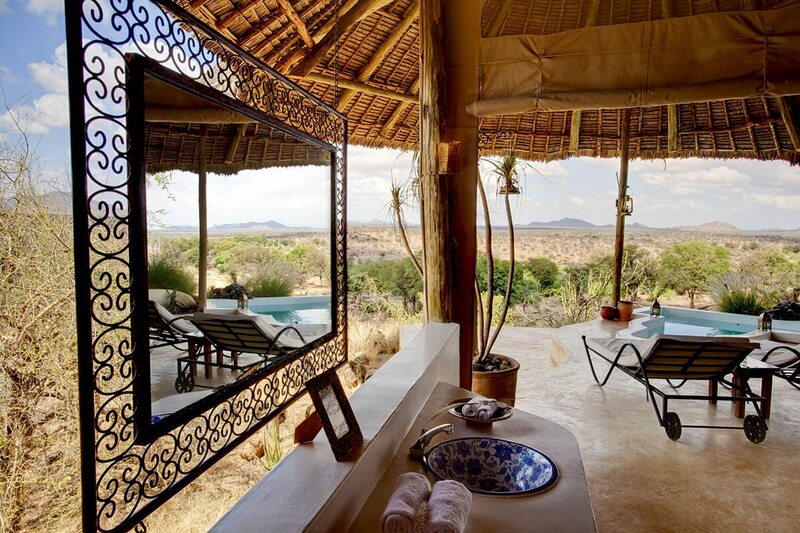 At this luxury safari lodge, you’ll discover unique desert landscapes and the ancient hunting grounds of the San on leisurely game drives, scenic flights and guided walking safaris. Hoanib Skeleton Coast is set in the remote Kunene region of Namibia, with access to the Palmwag area and semi-mythical Skeleton Coast. The surrounding landscape seems harsh and inhospitable, but hosts a startling array of desert-adapted wildlife. All-day excursions open up little-visited coastal sights, including seal colonies. 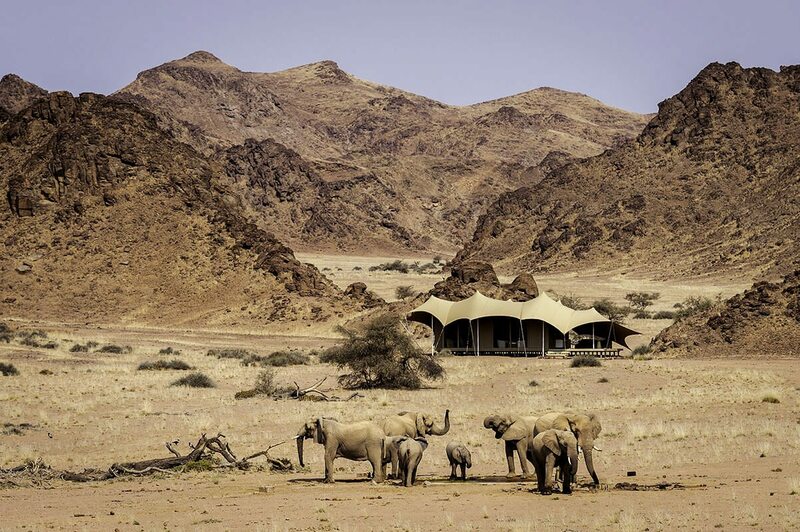 At first glance, the flat-topped mountains and rolling, rocky plains of Damaraland seem almost devoid of life, but hidden springs and sea mists provide the moisture required by all manner of desert-adapted wildlife, from ancient welwitschia to free-roaming black rhino, all of which can be seen from Desert Rhino Camp. The Selinda Reserve, where Zarafa Camp is situated, is the Grand Central Station of northern Botswana, where large herds of animals travelling between the Okavango Delta and Chobe/Savute corridors come together. This luxury Botswanan safari lodge takes intimacy and exclusivity to a new level, and is especially geared towards photographers. Get to the the heart of the Okavango Delta, where a 31,000ha private reserve is yours to explore. 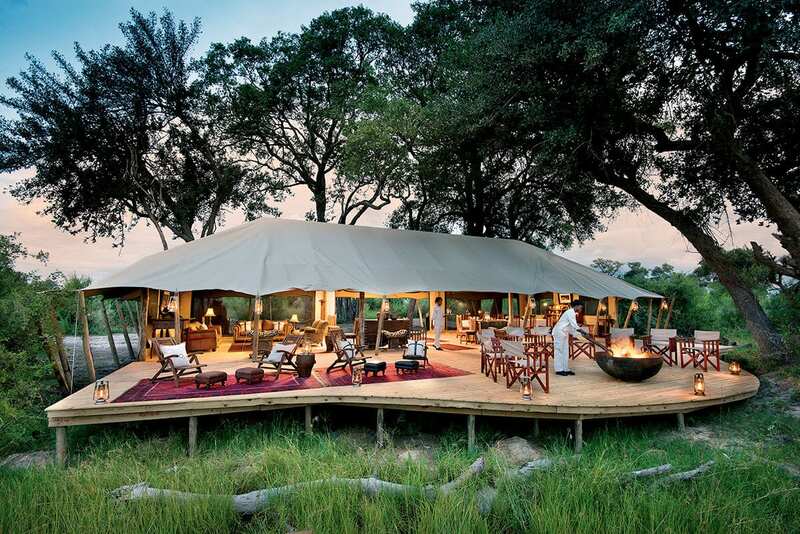 From day and night game drives or boat safaris to catch-and-release fishing and walking safaris, Duba Explorers Camp offers many ways to experience the Okavango Delta. Jongomero is situated in the most isolated southern sector of Tanzania’s Ruaha National Park, along the banks of a seasonal river. Here, explore untouched and diverse landscapes during game drives, walking safaris or fly camping for a true African wilderness experience. Explore Tanzania’s Serengeti in style at Sabora Tented Camp, an elegant 1920s-themed lodge with swimming pool, tennis court, spa and Jacuzzi. 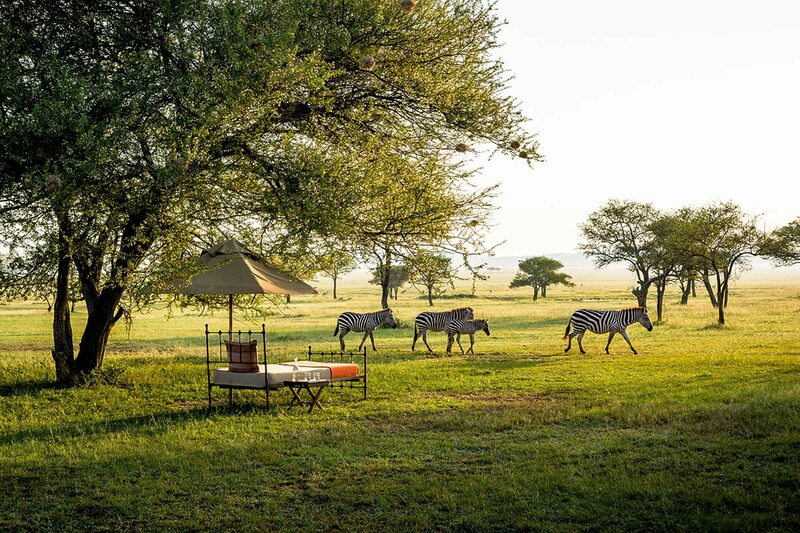 Enjoy the views from the comfort of your daybed or venture out on game drives, walking safaris or hot-air balloon rides to see the Great Wildebeest Migration. 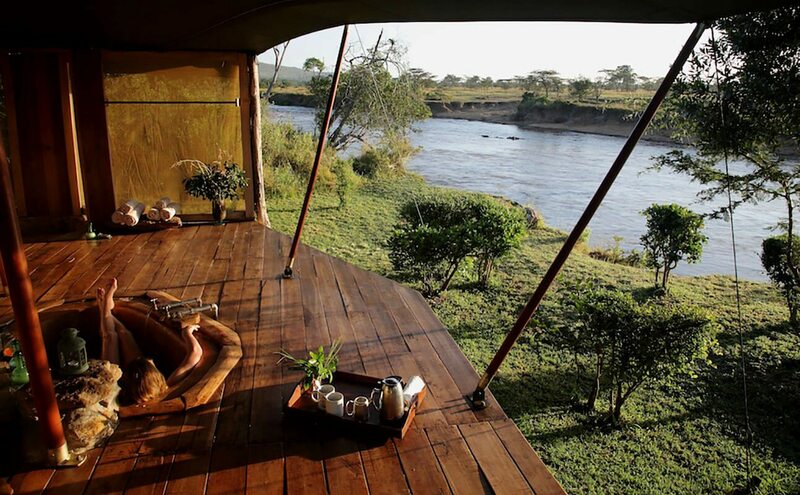 On a U-bend of the Mara River in Tanzania, Mara River Tented Camp gives you front-row seats to multiple river crossings of the Great Wildebeest Migration. 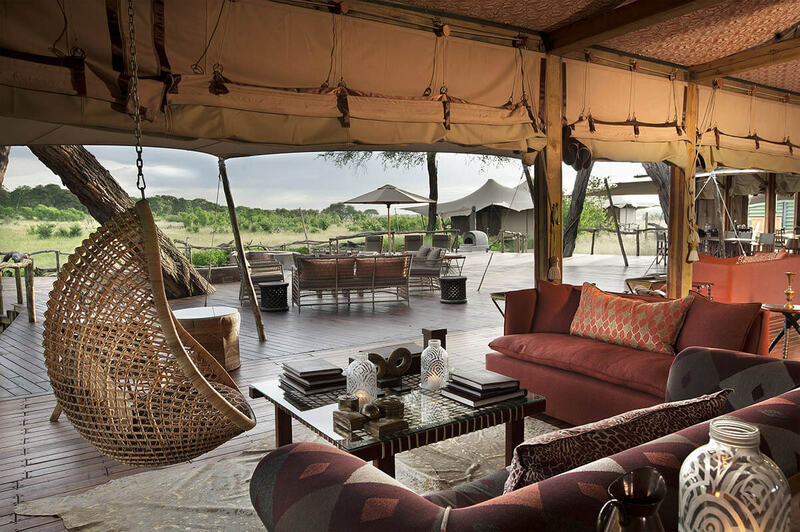 Boasting incredible Serengeti views, abundant wildlife and uncrowded game drives, this luxury Tanzania safari lodge is remote, exclusive and incredibly special. Discover Tanzania’s Rift Valley Lakes from Little Chem Chem, which overlooks Lake Burungi on a conservancy that is the last wildlife corridor between Lake Manyara and Tarangire national parks. Slow down and enjoy game drives, night drives and walking safaris, or anti-poaching and conservation safaris. 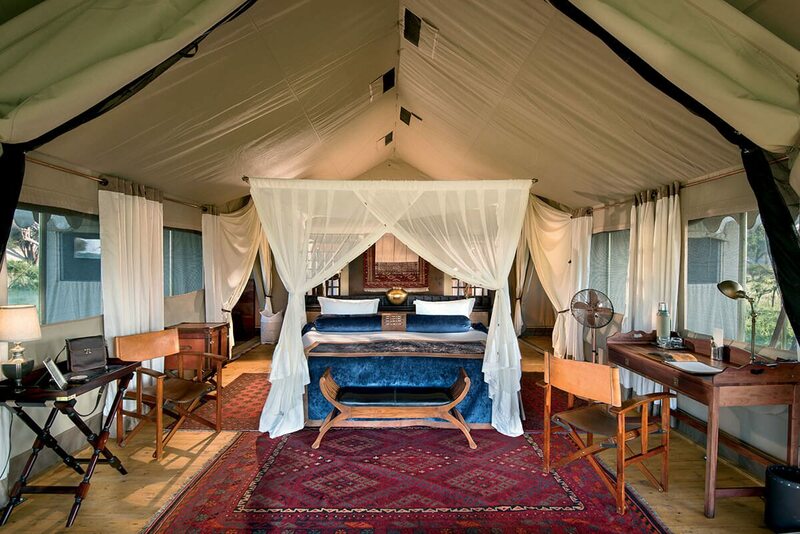 Set under tall riverine trees on the banks of the Sand River in the southern Masai Mara in Kenya, Sala’s Camp is perfectly situated for lengthy sightings of the Great Wildebeest Migration. 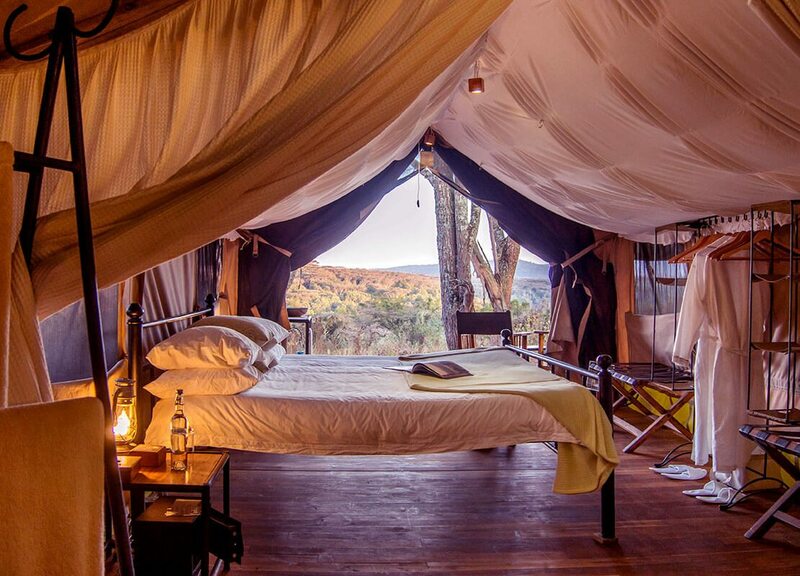 If you’re after an authentic, yet luxurious, camping experience, this is the place to be. Get the ultimate escape at Ngare Serian, just four tents scattered along the Mara River accessible only by narrow rope bridge. 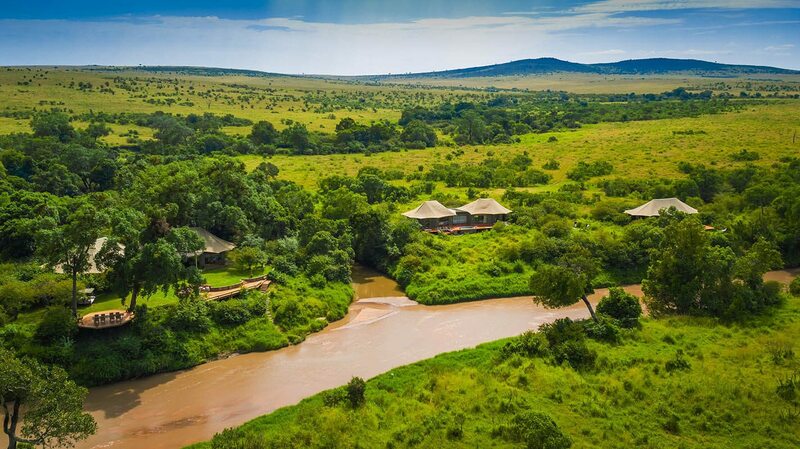 Set in the exclusive Pusinkariak Conservancy, it’s the perfect base from which to explore Kenya’s Masai Mara with a dedicated safari vehicle, or on foot with guided walking tours. 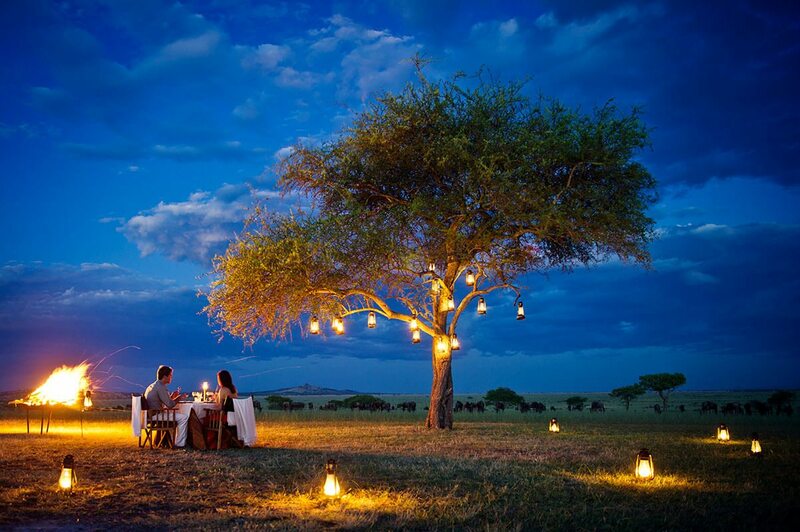 Share endless views over Kenya’s Masai Mara with raptors and hot-air balloons from the luxurious Angama Mara, high above the Great Rift Valley. Indulge in the scenery, the food, beading lessons and guided walks and safaris, or picnic at the very spot where Out of Africa was filmed. This luxury Zimbabwe safari comprises two of its key wildlife destinations – Mana Pools and Hwange – along with what’s regarded as one of the Seven Natural Wonders of the World: Victoria Falls. Luxury lodge accommodation blends indulgence with the very best of warm, friendly Zimbabwean hospitality. Visionary government policies and the tireless work of conservationists like Dereck and Beverly Joubert have preserved Botswana’s interlinked network of crucial wildlife habitats, such as the Okavango Delta and Savute. Luxury safari travel ensures not just incredible safari experiences for guests, but a sustainable future for communities and creatures alike. Explore the untouched wilderness of Ruaha National Park and Selous Game Reserve before relaxing on the shores of Ras Kutani with this nine-night itinerary. 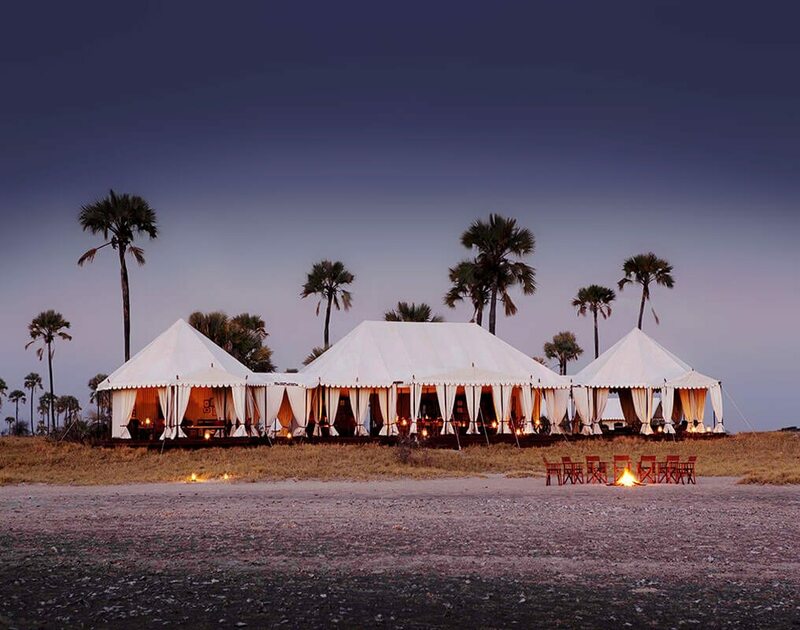 Your luxury Tanzania safari includes two tented camps and a private cottage, with activities ranging from walking safaris and fly camping to watersports and deep-sea fishing. 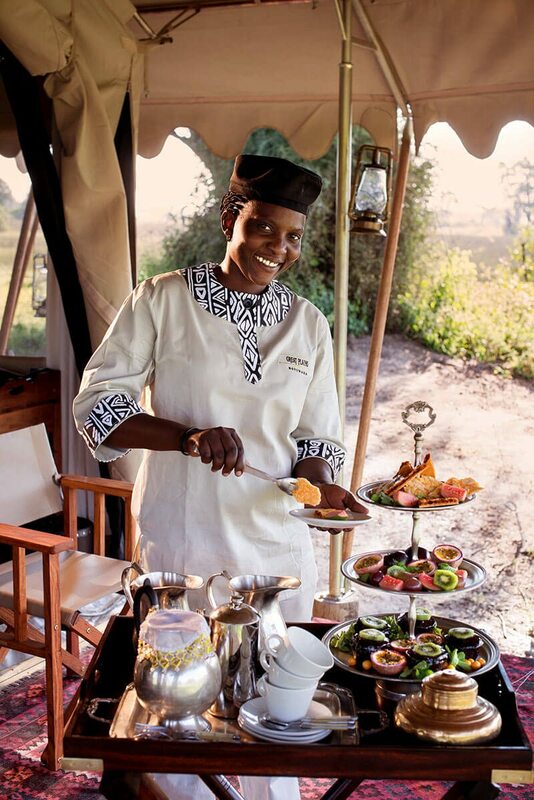 This luxury safari in Tanzania and Kenya is a great reflection of what the two countries have to offer. While enjoying the craggy landscapes of Samburu and the boundless savannah of the Serengeti-Masai Mara ecosystem, you’ll see the Samburu Special Five, migrating wildebeest and more.